Holding the ball with both hands, pull it behind your head. This is your starting position. Don’t straighten your elbows. Flex your abdominals and relax your glutes, keeping the natural curvature of the spine. Lift up your upper body and hands toward the legs. Reach hips with your chest, raise your shoulder blades from the floor, pulling up your legs to hands. Keep in position on top point and statically flex your abdominals in peak point. Hold the position for several seconds and then slowly return to starting position. 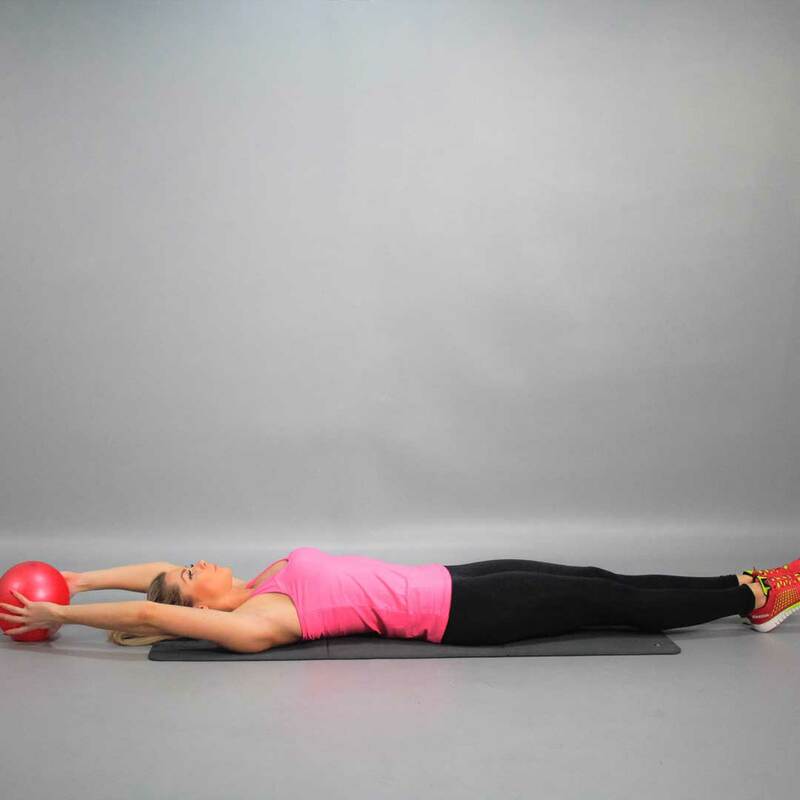 Tip: Medical (weighted) ball will strengthen your abs quickly and efficiently, as far as the extra weight causes the muscles flex more.